JB Transliner provides daily express bus services from Johor to many major cities across Peninsular Malaysia. Among them include Kuala Lumpur, Shah Alam and Genting Highlands. They provide trips to towns and cities situated up north as well, such as Bidor, Butterworth and more. 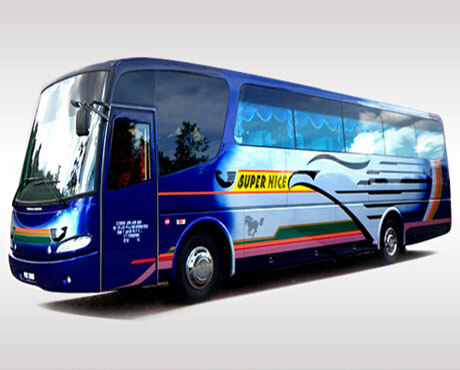 Their fleet comprises of 20 – 29 seats without compromising comfort and safety. They have multiple bus companies under their management, namely Five Stars Express, Kwok Ping Express, Arwana Express and Transtar Express, claiming the status as one of the most reputable and well managed operators around. Besides Larkin bus terminal, JB Transliner also operates at other terminals within and beyond the borders of Johor. Among them includes Merlin Tower, Tun Aminah bus terminal and Mushroom Farm bus terminal in Genting Highlands. 80000 Johor Bahru, Johor Malaysia. CatchThatBus offers online bus tickets to many routes covered by JB Transliner as well as seat availability features. You can book your bus ticket online from our website or via mobile app which can be downloaded for free on Google Play or App Store.